The general objective was to support DEVCO’s task force in preparing and drafting the evaluation, the impact assessment as well as the recommendation on the future of the Cotonou Partnership Agreement (CPA) after 2020. 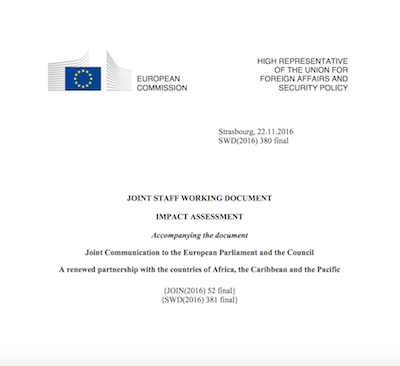 The specific objectives to which the team of consultants contributed were to: 1) Analyse the contributions and draw conclusions from the internal (Delegations) and the external (JCP) consultations, which should feed into the evaluation and impact assessment; 2) Provide draft textual input for the evaluation, the impact assessment. Support the EC post-2020 task force in drafting the evaluation and the impact assessment documents as well as a possible recommendation. 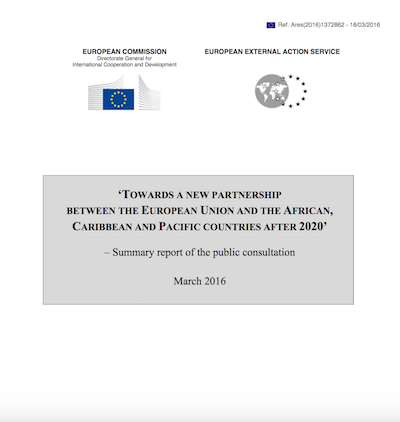 Support in preparing recommendations for the future steps on post-Cotonou.